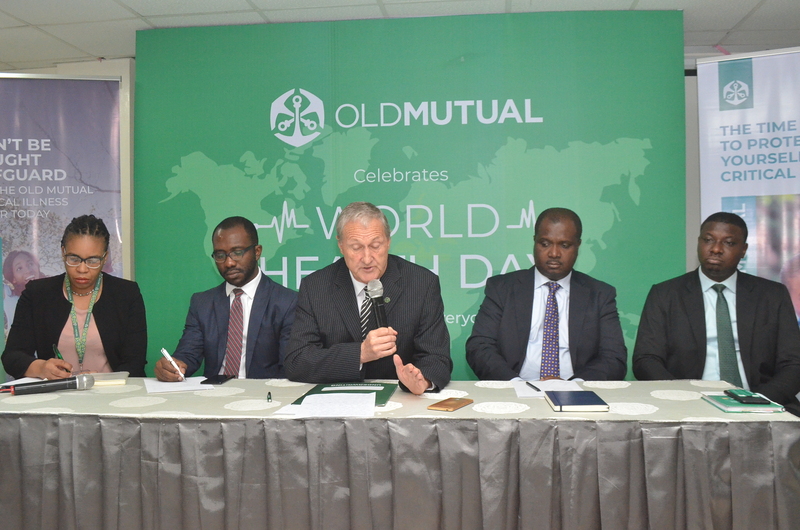 As the world marks the World Health Day, Old Mutual Nigeria Life Assurance Company – a subsidiary of Old Mutual Limited, the pan-African insurance giant and leading global financial services group – joined hands with international and local partners to battle the social and financial impact of battling critical illness for Nigerians. In an event held on Monday, April 8, 2019, to commemorate the 2019 World Health Day-themed “Universal health coverage: Everyone, Everywhere”. The insurance giant announced its partnership with Roche, a global research-driven healthcare and pharmaceutical company and Health-Plus, one of Nigeria’s leading pharmaceutical retail networks, to develop an innovative insurance plan for terminal illness, tagged the “Old Mutual Critical Illness Plan”. 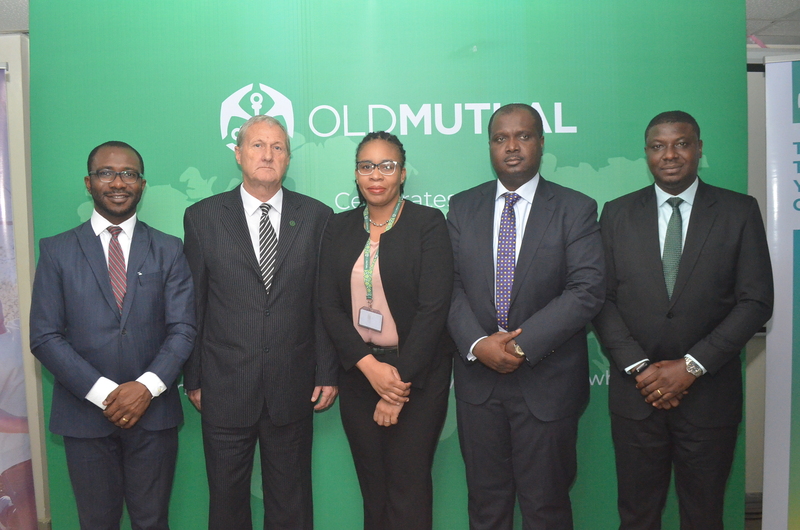 In attendance were the Managing Director, Old Mutual Nigeria Life Assurance Company, Keith Alford, Country Manager, Roche Products Limited, Dr. Ladi Hameed, Executive Head, Marketing & Customer Experience, Old Mutual, Alero Ladipo, Executive Head, Business Development and Strategy, Hygeia, Obinna Ukachukwu and Head, Retail Mass Market, Old Mutual, Kayode Odetola. Addressing the audience, the Managing Director, Old Mutual Nigeria Life Assurance Company, Keith Alford introduced the Critical Illness Plan highlighting the importance of Healthcare Coverage, stating that with Universal Health Coverage everyone can obtain the right kind of medical care they need and in due time, without suffering financial hardship. Speaking further, Alford revealed that over 800 million people worldwide spend at least 10% of their household budgets to pay for health care. In sub-Saharan countries like Nigeria, medical expenses are often made through out-of-pocket payments with little coming from government or privately structured healthcare management initiatives. In the case of terminal illness, many sufferers who lost their jobs and their source of income were significantly affected. Families have been driven into poverty in a bid to raise money for the treatment of loved ones. 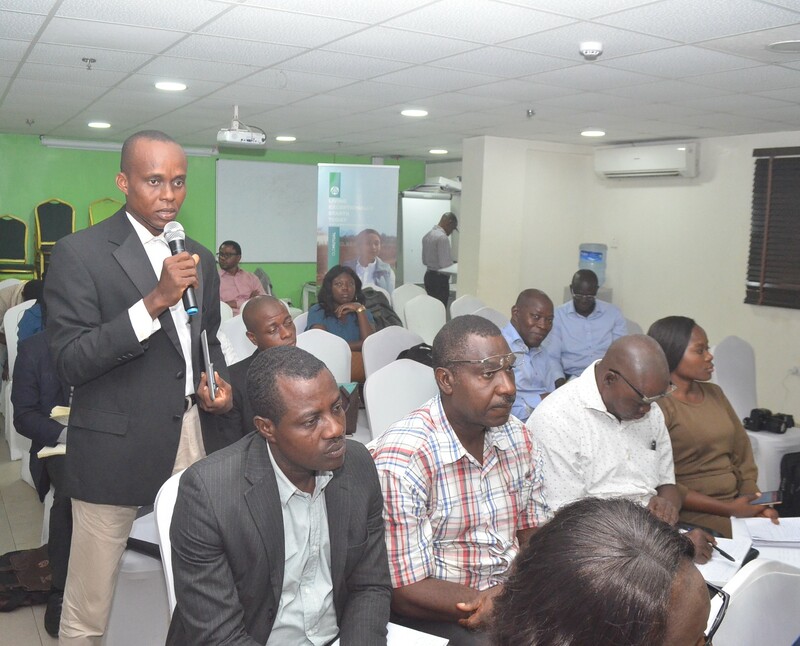 Unfortunately, insurance which ideally serves as financial protection has not been fully utilised by Nigerians. He stressed the need to have insurance policies specially designed to provide protection from the financial burdens of terminal illnesses. “It is to this end that, we entered into these partnerships to develop this innovative insurance plan to protect Nigerians from the financial implications of terminal illness. As we commemorate World Health Day today, we use this occasion to call on Nigerians to choose life and take up insurance as a protection against the financial burden of terminal illnesses, that usually invade lives unannounced”, he added. The post Old Mutual, Roche & Hygeia Advocate For Universal Healthcare Coverage in Nigeria appeared first on BellaNaija - Showcasing Africa to the world. Read today!.